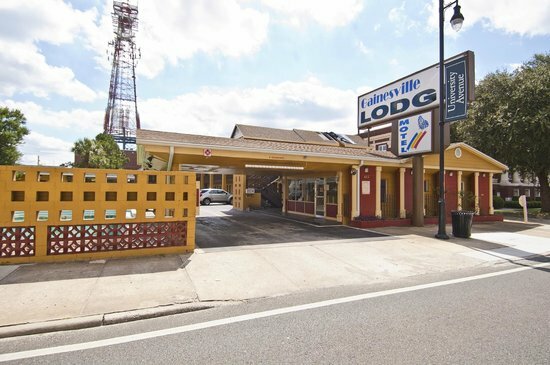 Located in the heart of Gainesville Florida, the Gainesville Lodge is the perfect hotel for your needs. Our hotel location allows for easy access to many tourist attractions within the Gainesville Florida area. Our hotel is within close walking distance to some of best attractions, such as downtown nightlife, Gainesville's excellent selection of eateries, The University of Florida, and Ben Hill Griffin Stadium at Florida Field. Other attractions such as The Devil's Millhopper (Geological State Park), Lake Alice (lake is a wildlife area) and Florida Museum of Natural History are a short drive, and easily accessible. Our historic landmark hotel brings contemporary living and exemplary service that is second to none. Our friendly staff are always available to make your stay as comfortable as possible. Our property caters to a variety of guests, offering stylish residences, fully equipped serviced office areas and impressive facilities. Our hospitality represents the warmth and glow of the Gainesville Florida.